I purchased this because I've had (infuriating) constantly static hair all winter and not sure why, so I was hoping this might help. Unfortunately I can't say it has made any difference. As a leave in conditioner, however, I think it's a good product. You only need a small amount. Think it would be good for thicker/curly hair. This is the second time I've purchased this product. I've tried other similar products, but this is the best! And it smells amazing! I have to say that I'm a little disappointed with this product, it does smell wonderful but my hair feels clogged up when I use it. 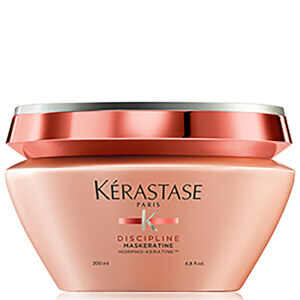 I love Kerastase products normally but wont be buying this one again. Would recommend this product. It conditions and smooths the hair and adds shine. Best thing I used for My hair!!! Wish I had found it sooner! Hair was dry and distressed. 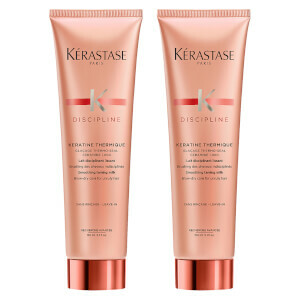 Having used kerastase products in the past I decided to give this a go. Arrived v promptly so was able to start using just a few days after ordering. Smells absolutely lovely. Only a v small amount required to be added to towel dried hair. After drying and straightening my hair is so much improved, I am amazed. It will only continue to get better over time. Great product. I suffer from fizzy hair and this is a great smoothing product. Only a small amount is needed and It smells great too! It's fantastic!! This makes my hair so soft and smooth and i've got a thick bob! !